POLL: what newborn pose would you like to watch be done? I thought today would be a perfect chance to announce some news I have been waiting so long to share!! Exciting things are in the works for 2008. First being a big move very soon :) I'm so happy to say that I will be moving all the way from Atlanta to San Diego in the beginning of March!! Carrie and I will be teaming up to photograph many, many sessions together- something we both truly cannot wait for! This is only the beginning of many exciting things to come, so stay tuned!!!! Happy New Years everyone!!!!!!! f/2.8, 1/320ss, 640iso; window right. f/3.2, 1/320ss, 1000iso; window left. f/2.8, 1/160ss, 100iso; softbox right. Congrats, Britt, on your exciting news! I know you and Carrie will enjoy being so close to each other and working together on a regular basis. It will be sad to think you're not here in Georgia anymore though! :) Can't wait to see all the great work you guys do together. 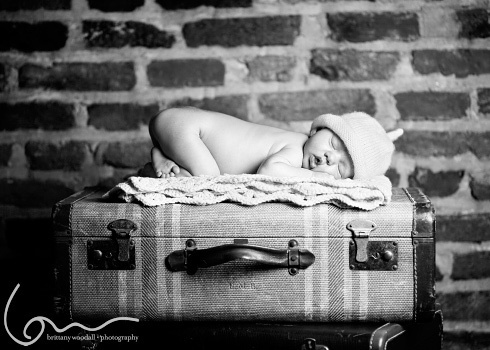 I love the shot of the baby on the trunk. Very beautiful! You rocked these as per usual. Out of curiosity, how come the D3 sat this one out? San Diego is lucky to get you. Good luck with the move. congrats Britt! I bet you can't wait...that's soooo exciting! Oh... gorgeous - I simply can't wait to see them all! Congrats on your move... a more perfect team could not exist! I love all of these of Princess Maren! Awesome job on capturing these images. Especially love G's expression w/ Maren. You will never know how much these mean to me. They are just stunning, so much more to me than photos. You truly have a gift, and a little magic, too. Wow. All I can say is wow. I am humbled and honored that you were able to photograph my children. Those are simply just adorable. That's amazing that little Marin is sleeping so soundly! oh wow- these are so, so incredible!! GORGEOUS! love love love them! OH wow - Gorgeous shots! LOVE them! That first one just makes you smile big! Congrats on the move! Sounds very exciting! SOO EXCITED!! I'll be one of many to say WELCOME TO SUNNY CALIFORNIA!! k.. maybe one day i can save enough to have you and carrie photograph my babies! :) so excited for u! Awesome!!! Love the first one! You and Carrie as a team, WOW!!! You both are awesome!! These are fabu! I love the one with big brother- too sweet. These are all so amazing! I adore your work! Congrats on the big move to SD! How exciting for you and Carrie to work together more often! I wish you the best! she's beautiful! what a gorgeous baby. britt, much luck to you in your new endeavors. i'm certain you will take the west coast by storm. I'm seriously in awe of your work. 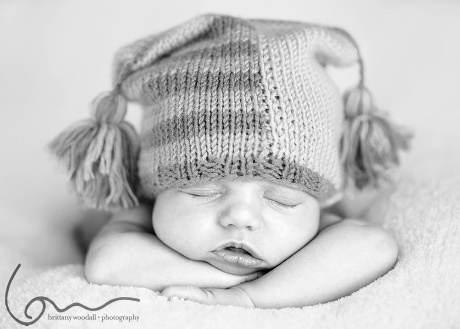 The way you capture newborns is a true gift...you have amazing talent. I love your work, Britt! Wishing you the BEST OF LUCK!! Wow! These are stunning! Even more heartwarming is the story behind it. I am so overjoyed for Blair! Great work as always Britt. okay... even on my iphone these are STUNNING. absolutely LOVE the one with G... her little lips are pure sweetness!! beautiful work, Britt... congrats on your big move... ATL will miss you though! how exciting for you to be moving!! I absolutely LOVE the second one with both of them!! !